Cajun and creole cuisine. Lunch and dinner. It’s tough to find a more enchanting setting than Blue Bayou, and better yet it’s smack dab in the middle of the Pirates of Caribbean attraction. A dreamy, moonlit terrace overlooking the bayou is strung with Chinese lanterns and surrounded by live oak trees dripping with moss. Louisiana-style cuisine is on the menu, totally overpriced, but who cares when there’s scenery like this? Begin your meal with a basket of sweet potato biscuits and luscious sourdough rolls along with your choice of salad or a spicy gumbo, both good options. 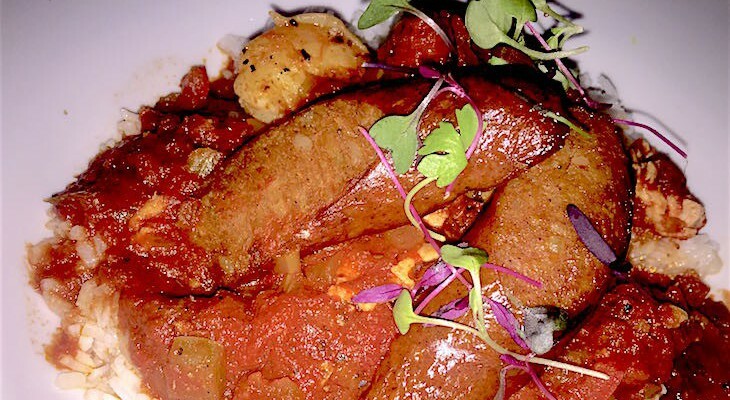 The fiery jambalaya is respectable studded with fish, shrimp, chicken breast, and Andouille sausage (this is one huge dish so do consider splitting). Probably the best entrée is the Cajun-spiced salmon prepared with a light dusting of spices, a touch of citrus mouselline and salsa verde, and a side of corn risotto, although (sigh! ), healthy as it may be, I do miss the previous recipe stuffed with goat cheese and topped with buerre blanc sauce. Or just opt for a Monte-Cristo sandwich, always a popular if not overly rich choice. Cara's Tip: Request a waterside table on arrival, but don’t fret if you don’t get it or the wait is just too long; you’ll still enjoy the restaurant’s atmosphere nonetheless as long as it isn't in the very back too far away from the water. If you forget to make reservations at Blue Bayou and there are none to be had on arrival, no problem. You’ll find Monte Cristo sandwiches as well as Cajun/Creole specialties, even pommes frites tossed with parmesan and garlic served with remoulade (yum!) around the corner at Café Orleans, a much easier place to get a seat. Creole food. Lunch and dinner. A Main Street institution, hearty all-American food with a few updated twists is on the menu. 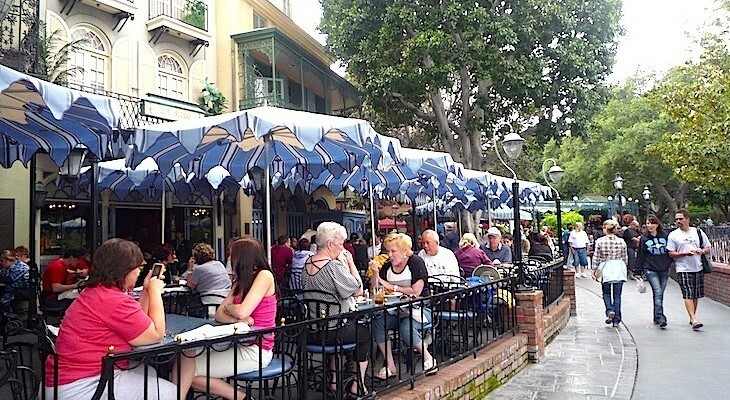 Ask for a table outside in the courtyard for great people watching. 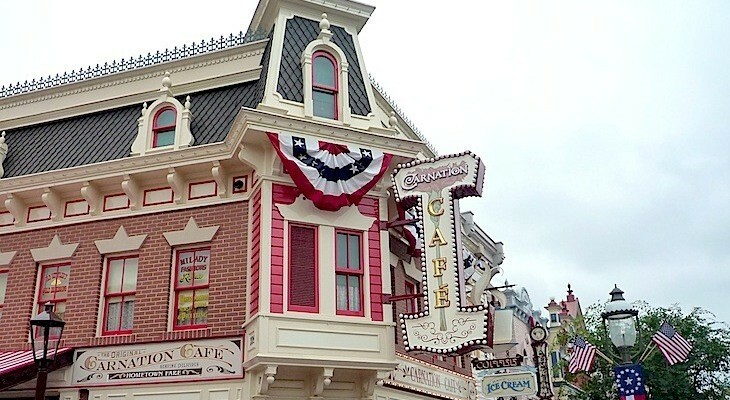 One of Disneyland’s original landmarks, this Victorian-themed restaurant offers Disney’s best character breakfast, Minnie & Friends–Breakfast in the Park, offering a bountiful buffet along with a fun mix of Disney characters. A quick-service, cafeteria-style lunch and dinner is famous for the signature golden fried chicken.